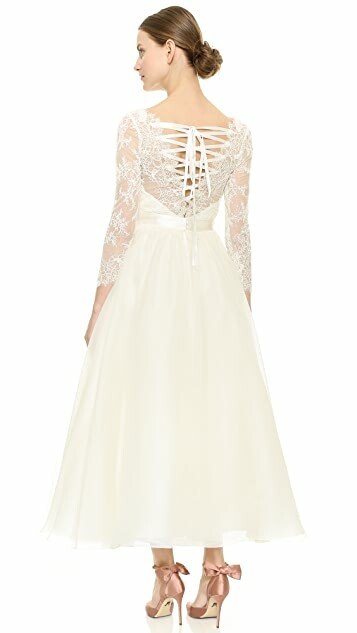 This ladylike Marchesa gown cuts a romantic, vintage-inspired silhouette with a striking lace-up back. 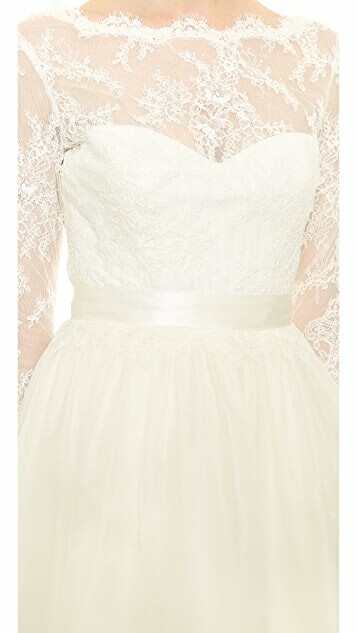 Delicate lace composes the bodice, which is fashioned with an illusion sweetheart neckline. 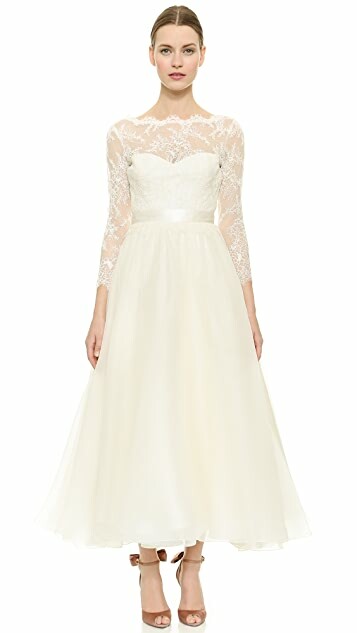 A sleek, tonal ribbon defines the waist, and layers of tulle and silk fill out the graceful skirt. Scalloped, wide neckline and bracelet-length sleeves. Hidden snap and zip closures at back. Semi-sheer bodice. Fully lined. 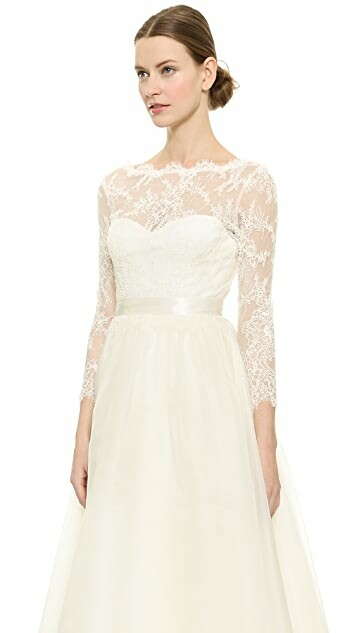 Fabric: Lace / soft silk organza. Georgina Chapman and Keren Craig met early on at the Chelsea College of Art and Design in London. Georgina began her career as a costume designer while Karen focused on print and embroidery design. When they created Marchesa in 2004, they were already well-versed in the artistry of couture. Named for eccentric socialite Marchesa Luisa Casati, Marchesa eveningwear is inspired by vintage and Asian influences and is an awards-season celebrity favorite.